Born May 3, 1957, in Brooklyn, N.Y., Rocco V. Salvatore lived in Grasmere and graduated from New Dorp High School, where he was a track star, participating in the Penn State relays. He met his wife, Carol, when they worked at Sears. He then became a printer, eventually settling on Wall Street. 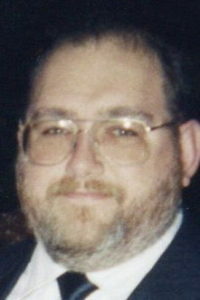 Rocco was one of the founding members of the Staten Island 4 Wheel Drive Club and was an avid Jeep enthusiast. His hobbies included shooting pool, scuba diving, traveling, driving his Jeep, and hanging out with his many friends. Rocco always put others before himself and was a loving husband, son, brother, father and uncle. He was predeceased by his mother, Gail Salvatore, an Advance Woman of Achievement; his brother, Arthur, and his son, Rocco Jr. He is survived by his wife, Carol (nee Muir), and his father, Peter, and his daughter, Samantha. Friends will be received at Cherubini McInerney Funeral Home, formerly Meislohn-Silvie Funeral Home, 1289 Forest Ave., Staten Island, N.Y., on Saturday from 2 to 4 p.m. and 7 to 9 p.m. Private cremation. Donations to ASPCA would be appreciated.